It's "new hair, new life" time for Raven-Symone. The former child star, who first tasted fame playing the precocious Olivia on The Cosby Show in the '80s, has gone and gotten herself a drastic new cut and color. She has chopped her normally dark and thick locks into an asymmetrical, rainbow-hued bob, mixing pastels like pink and purple with gray. It's not for everyone, but it works just fine for her. Hey, it's summer. Why not try a hybrid color? Everyone else is doing bright colors, why can't she?! Raven, as she is known, is now 28 and she is making some drastic changes with her life, besides the obvious hair hue and 'do. She's headed off to college and she celebrated her new existence as co-ed by lobbing her locks. Kudos to her for diving head first into the deep end of change. The star, who came out (sort of) last year on social media, captioned one snap in revelatory fashion: "My last Friday in la before I start my life as an #oncampus student! New hair for a new life! #hellyea." She posted this note on another: "Loving my washy purp and grey! Here I come San Fran!" 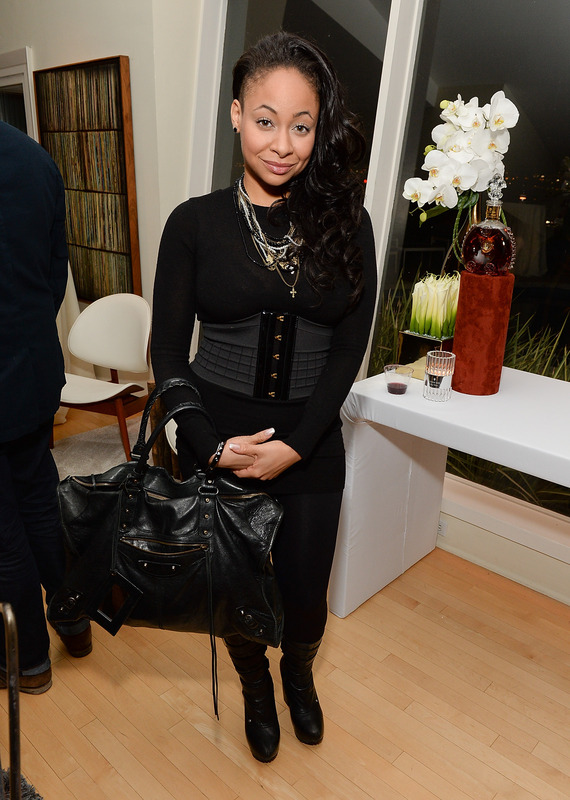 So Raven-Symone is leaving Los Angeles behind for San Francisco. I wish her the best in her studies in hew new city, where she can show off her pretty but punk rock look. Here is the front-facing view and you see how one side of the bob frames her face. Lovin' those bow-topped frames, BTW. You can appreciate the dramatic, head-hugging shape and the color mix in this selfie, too. She's also rocking the shaved side/undercut, it seems. Clearly, this cut borrows from a few trendy 'dos and is a whole lot of everything at once — but it surprisingly works for her. See the full scope of the asymmetry from this side shot. #RainbowBrite.